Super men have super hair, strong hair that can hold up 1,000 pounds and help you kill men with donkey jawbones and stuff. It’s Nature’s way. 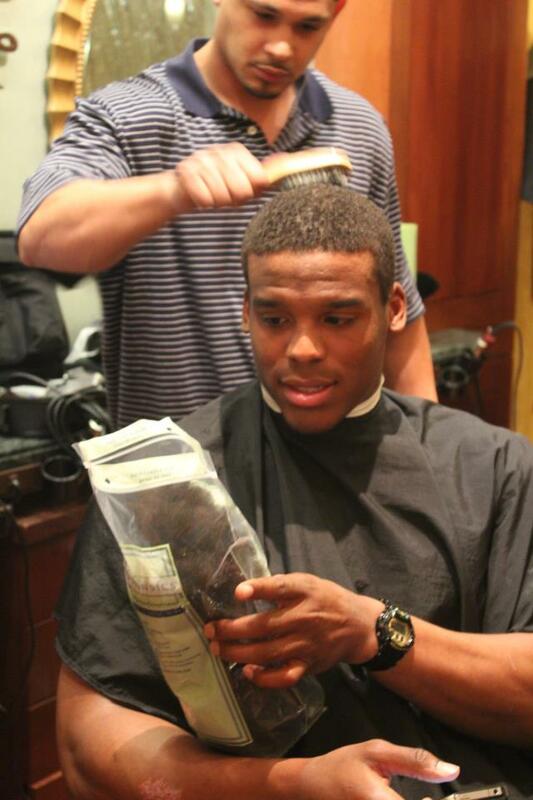 Maybe it was because Samson did it for a woman and not an awesome charity, but Cam cutting his (until-recently) noticeably longer hair apparently didn’t sap his strength at all (just ask New Orleans). In fact, it’s going to do more good now than it ever did on his handsome head. Some of you might have noticed my hair got a bit longer in the off season. 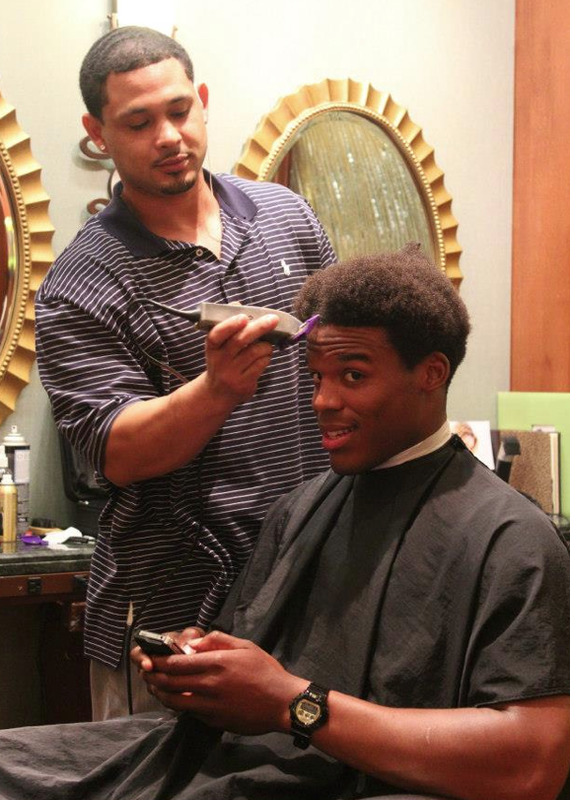 I hadn’t cut it since the last game of last season, and that day marked a new phase in the mission to get better. The daily growth was a reminder of the need to stay steady and consistent. Now that I just got faded up and the beginning of the 2012 season is now, I’m using this opportunity to help others who may need a boost. I will be donating my hair to Wigs For Kids and also raising money for Carolinas HealthCare System Levine Children’s Hospital to help kids who are battling some serious health issues. Newton has also partnered with Wigs For Kids, which provides children experiencing a health crisis with custom-made hair replacements, for a Hair Donation Challenge through October 8th. Related: Cam Newton’s Breast Cancer shoes. He just keeps getting better, doesn’t he? LOVE this guy!